4hams wrote: I don't think the problem is the card. i think it is the big screen you have? Did you not mention that it was getting a little old by todays standards? It probably will not display the higher settings due to the fact that it cannot display the refresh rates the card wants at the higher settings. That is definitely the problem. Though i referred to it as a card problem , its more likely a screen problem. Yes , this is a few years old LCD now. One of the very first here to have dual HDMI ports on it. I agree the newer sets probably have a much lower refresh rate on them compared to this one and that is why its causing problems on all the other resolution settings. It is the screen not being able to test it at that rate with the newer refresh rates. Though i sort of expected the card to allow the change of setting back to 60mhz that is all. One day a new screen will be on the wall , am i would like 40" LCD full HD. But that is a dream atm. Though now @ 1280x720 HDTV setting via CCC its looking awesome. I am happy with this setting now as we are sort of understanding why the settings cant be higher. This was my original frustration of not knowing. smduff wrote: I am thinking your on to something there Joel. Craig do you have a monitor to try out? I am afraid i do not Steve. Got rid of my Samsung 22" a while back to fund the i7 build. But as its working great i am not that bothered now. Just want to enjoy it. They are sick together indeed. I am very happy with this now and just some basic benches are brining up 350fps in DX10 which is monstrous. 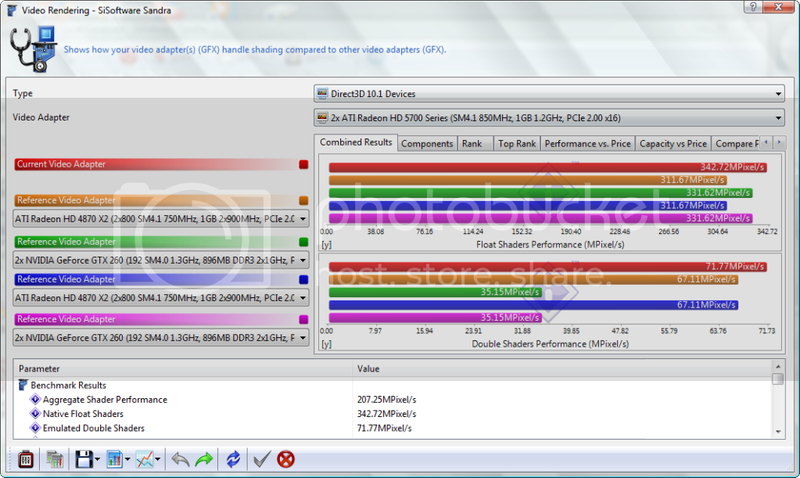 If you guys know of a better free graphics benchmark please let me know. Idle is around 47degs not for the main card , and still 34degs for the secondary. Thats still great for a MATX. Looks like you are getting great results with the new setup craig! And thanks for the great picks! 2 Cards always make a build look more exciting! 4hams wrote: Looks like you are getting great results with the new setup craig! Thanks m8. Indeed it does from my view. Problem is it works excellent. I7 can go to 4.2ghz , takes a crossfire. What more can you ask from a micro. What about this one? Just the basic addition is free. Let me know and i will try any test ya want. That is the one I just found also. I will download and give it a try. lets start a new thread in this section with the software name being used in the title. Something like post your 3d mark 06 results? LOL !! Thats long. yep do that m8. just installing it now. I ran one of these ATI 5770 cards for a while, but our hottest August ever caused my PC to BSOD every 3-5 days from HEAT! Swapped it with an older nVidia 9800GT and the PC rans 10-15C degrees lower. 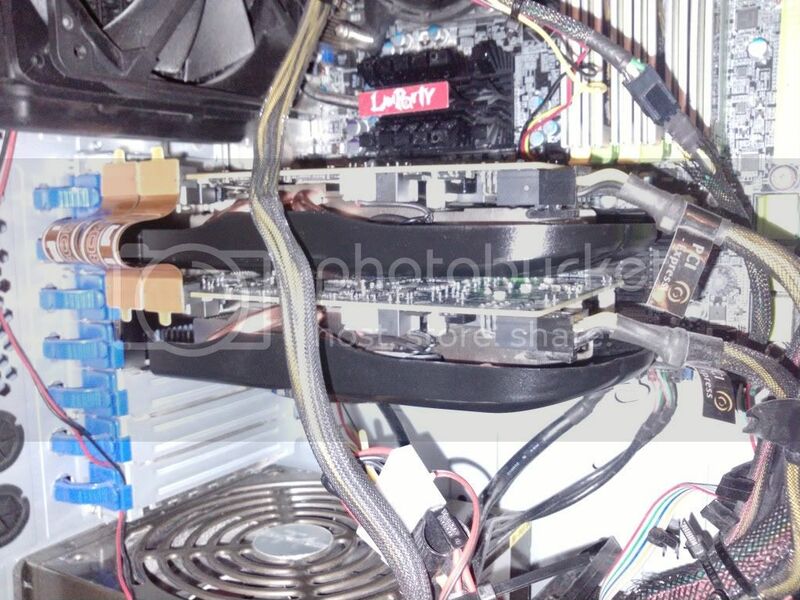 So after three days, I am now running a nVvidia GTX 550Ti, and its faster and MUCH cooler, as well. That card is 49-52C, the ATI card ran 67-69C, making my MB overheat as well.